It is the beginning of November and no matter how much you fight it Christmas is around the corner. 48 days to be exact!! 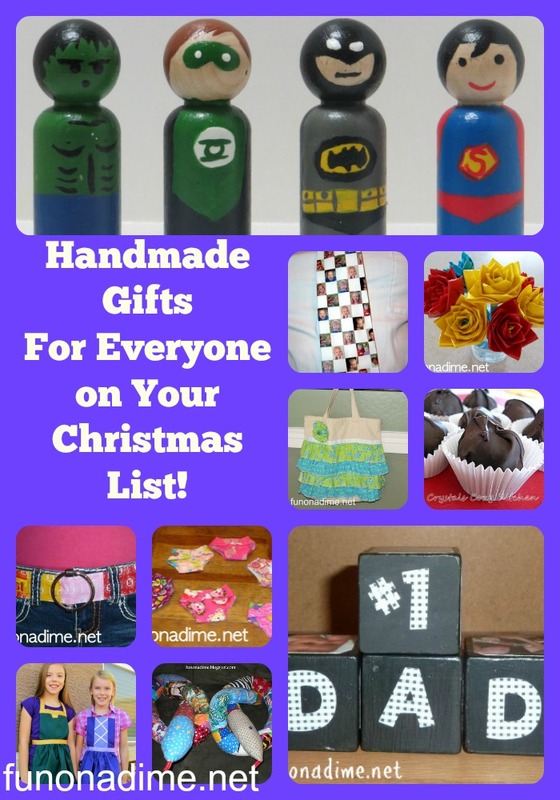 So to make life easier for everyone I have gathered all of the fabulous handmade gift ideas on our blog for you in one place. Everyone needs a little easy in their life right about now:) Happy gift making! 10. 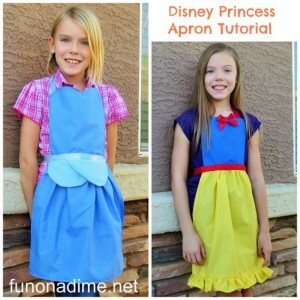 Cute Ruffle Bags – You need to check out the time saving “How To Make a fast Ruffle Tutorial” video on this post! 12. 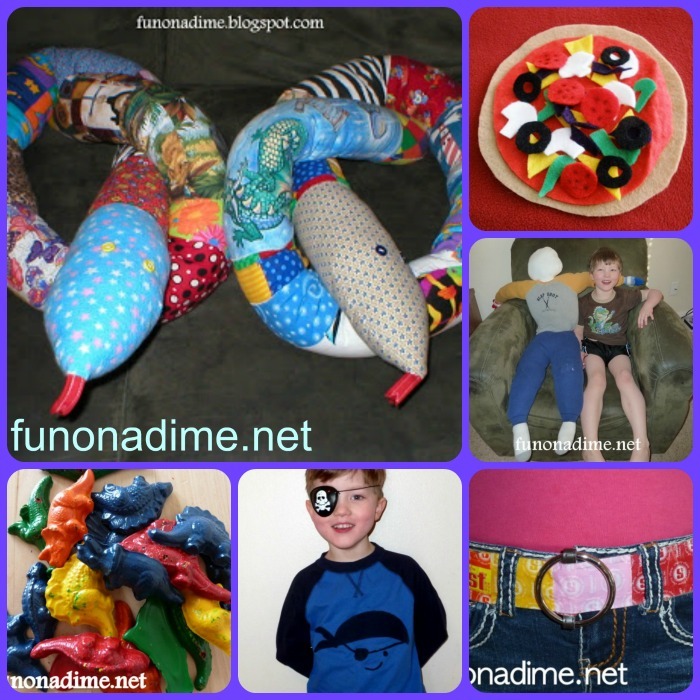 Scrap Fabric Snake – Children love these! 17. Fun Shaped Melted Crayons – make into lips, cars, hearts, animals, etc. 18. Photo Collage Blocks – These could say anything and would be great for grandparents or anyone that works at a desk! 20. Homemade Christmas Chocolate – Yum! 23. Personalized and Unique Tie – for the man in your life that has everything. He definitely won’t have this! 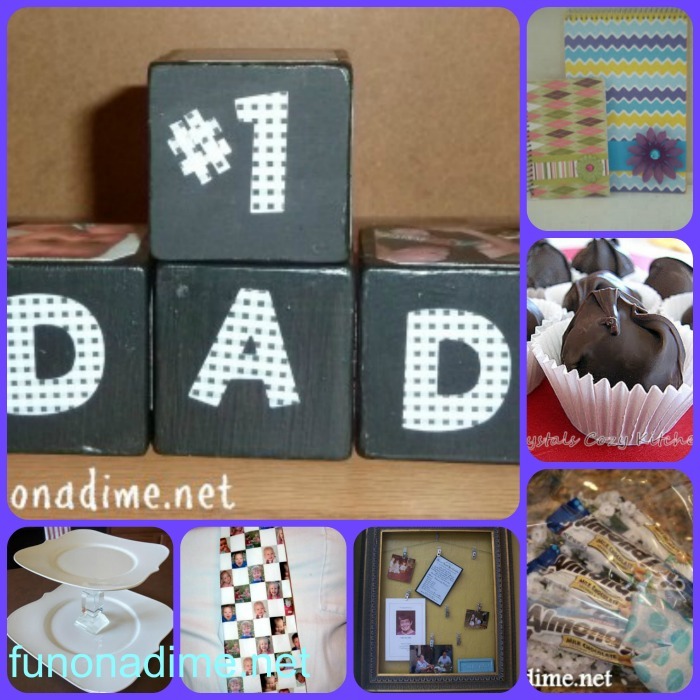 Do you have great handmade gift ideas? I would love for you to share them with me!! Courtney is a new and exciting addition to the Fun On a Dime team. 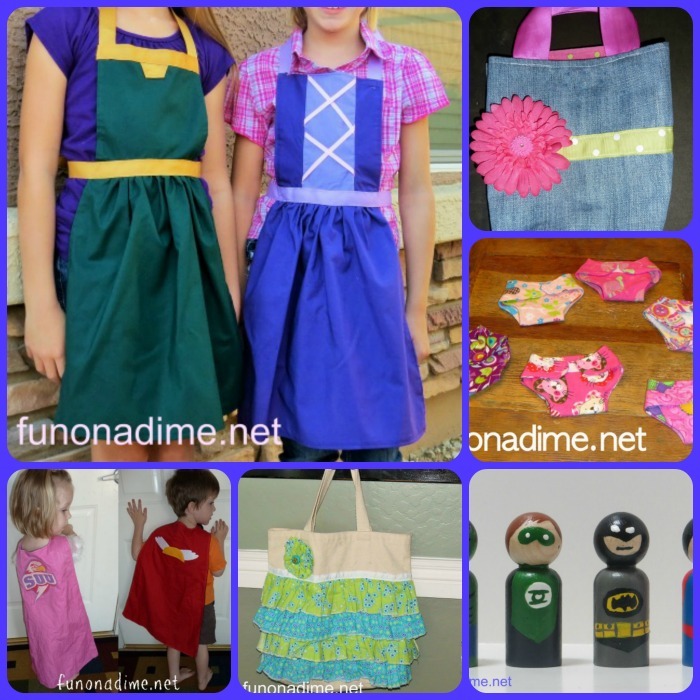 She brings with her a contagious energy, creativity and full of awesome DIY and educational projects. She also lives in Phoenix, Arizona with her husband, 7 children ages 11 (girl), 10 (girl), 8 (girl), 6 (girl), 3 (girl), 15 months (boy) and 2 months (girl). Courtney comes with a background in Education and currently homeschools her 5 oldest children.